Disney and Lucasfilm's plans utilize the Star Wars property between now and 2030 isn't just limited to the annual release of the saga episodes and Star Wars Stories on the big screen. In addition to the deal which sees developer and publisher Electronic Arts (EA) replace Lucasarts as the primary producer of Star Wars licensed video games, Lucasfilm will also be looking to capitalize on the growing popularity of small screen video-on-demand (VOD) services. With Star Wars Rebels approaching its conclusion in the coming weeks after a four-season run it is unsurprising to learn that Disney and Lucasfilm are considering developing a live-action Star Wars serial show that will likely spearhead the companies move toward small screen VOD entertainment, with plans for the show to stream on Disneys forthcoming VOD service with an expected release date of late 2019, according to Variety. Speculation is rife, with many fans calling for the live-action TV show to be set within the Old Republic, while we suspect the chances are that this new show will likely be Star Wars: Underworld, a concept developed by veteran Star Wars producer Rick McCallum. Underworld is reported to be set between Star Wars, Episode III: Revenge of the Sith and Star Wars, Episode IV: A New Hope and explore the criminal and political power struggles during the Empires rise to power, and has been in development since 2005 with at least fifty scripts written (according to Digital Spy). It is also highly likely that if the live-action TV serial does indeed prove to be Star Wars: Underworld, or an adaptation thereof, that it will also likely include concepts and materials that were developed for Boba Fett: A Star Wars Story standalone movie and the video game Star Wars 1313, both of which were canceled after considerable development and investment. If this speculation proves to be true, then it would reduce the likelihood of a similarly themed movie starring Boba Fett and other bounty hunters. However, seeing Boba Fett feature in a TV serial could see prequel trilogy star and New Zealand actor Temuera Morrison return to the franchise. A veteran of the franchise and of the small screen (Shortland Street), Morrison would be ideally suited for the cast of Star Wars: Underworld, alongside possible co-stars and Star Wars alumni Sam Witwer and Freddie Prince Jr.
Last edited by JDLM; 2018-10-05 at 07:58 AM..
Iron Man and Iron Man 2 director Jon Favreau has been tapped to write and produce an upcoming live-action Star Wars show, which will debut on Disney’s still-unnamed streaming video platform, Lucasfilm announced today. In November, Disney announced two projects: a new trilogy of films written by The Last Jedidirector Rian Johnson, and a live-action show for the company’s upcoming streaming service, which is expected to launch sometime next year. Disney also announced last month that Game of Thrones showrunners David Benioff and D.B. Weiss are developing their own series of films. In addition to a Star Wars show, Disney has also said that the streaming service will have other original content from its various holdings, including a live-action Marvel show. Favreau is no stranger to Disney. He directed the live-action version of The Jungle Book in 2016 and is presently filming a live-action adaptation of The Lion King, which is slated to be released in 2019. He also directed the original Iron Man movies, before Disney acquired Marvel. Favreau has been involved with the Star Wars franchise as a voice actor, voicing Pre Vizsla in the Clone Wars animated series, and an alien in the upcoming Solo: A Star Wars Story. A live-action show set in the Star Wars universe has been a long-simmering project for Lucasfilm. While the company has set up two enormously successful animated shows, The Clone Wars and Star Wars Rebels (which just finished its run), George Lucas said in 2005 that he was working on a series set in the galactic capital of Coruscant, but that project was abandoned years later due to its enormous budget. Now that Disney owns the company, setting up an original series for its streaming service makes sense. Favreau is a writer, director, and actor with a solid resume, which should help provide Disney with a show that has widespread appeal to attract customers as it works its way into an already-crowded field of streaming video companies. The Jungle Book director Jon Favreau’s upcoming live-action Star Wars series has added two exciting new people to its creative team. Find out who they are after the jump. 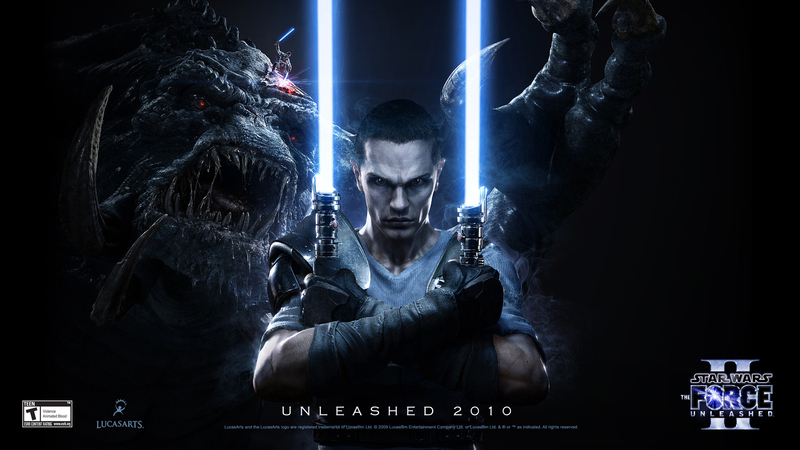 A live-action Star Wars show has been in development since even before Dinsey's acquisition of LucasFilm, the original version titled Star Wars: Underworld was to be set between the first two trilogies and was said to have had over 50 hours worth of material already written the show was placed on indefinite hold due to budgetary issues back in 2010. Fast forward today and a live-action series is again in development, this time from Iron Man director Jon Favreau. Very little is known about the project except that it will inhabit the time period between 1983's Return of the Jedi and 2015's The Force Awakens, taking place seven years after the Battle of Yavin and featuring all new characters. Favreau also revealed that before even getting the job he had written four scripts to show LucasFilm what the show would be. ThatHashtagShow have now revealed that long-time Star Wars production designer Doug Chiang will be bringing the worlds and locales of Favreau's stories to life, serving as production designer on the untitled series. Chiang has been with the franchise since George Lucas' The Phantom Menace where he served as a visual effects production designer via ILM and then proceeded to work on both The Force Awakens and most recently Gareth Edwards' Rogue One: A Star Wars Story, which was celebrated for its perfect re-capturing and expansion of original trilogy utilitarian aesthetics. Chiang isn't the only new member of the creative team, however, as art director Andrew L Jones who previously collaborated with Favreau on The Jungle Book has also joined the project. Jones' other works include such films as Avatar, Oz The Great and Powerful, The Last Samurai and The Adventures of Tintin. The show is set to air on Disney's new online streaming service, which is planned for release at the end of 2019. Lucasfilm and Disney's Star Wars live-action series, headed up by Iron Man director Jon Favreau, reportedly may begin filming this fall. The slow box office performance for Solo: A Star Wars Story may have put a slight ding in the biggest of all entertainment franchises, but that won't stop Disney and Lucasfilm from flying ahead at light speed as it continues developing more projects in the Star Wars universe. Of course, Star Wars: Episode IX remains on tap, with J.J. Abrams handling writing and directing chores. And there are continued reports that Boba Fett and Obi-Wan Kenobi will both get standalone films in the future. Other down-the-road projects include Last Jedi director Rian Johnson's trilogy set in a previously unexplored corner of the galaxy, and another Star Wars saga being developed by Game of Thrones showrunners David Benioff and D.B. Weiss. But Disney and Lucasfilm also have plans for the small screen, with the top priority being a live-action Star Wars series intended to launch Disney's new streaming service, which is set to go live in Fall 2019. Jon Favreau has been tapped to head development of the series, and now Omega Underground reports Favreau may have the cameras rolling by Fall 2018. Favreau himself will produce and write on the series, but likely will not direct any episodes himself. In a May interview, Favreau gave a few details about the new series, saying it will be set about seven years after the Battle of Yavin, placing it on the timeline after Return of the Jedi but well before The Force Awakens. Favreau has been busy getting together a creative team for the series, recently hiring his Jungle Book production designers Doug Chiang and Andrew L. Jones. The report of a late 2018 start date for the series makes sense given Disney's intention to launch the show along with their streaming service in late 2019. With Disney and Lucasfilm making a big deal about on-screen diversity in their Star Wars projects, some leveled criticism at the companies for sticking with non-diverse behind-the-camera hiring practices in picking Favreau to steer their new series. But opportunities are still available for women and people of color to play a big role on the show as Favreau goes about the process of hiring episode directors. And of course we will have to see about the make-up of the cast, and what kinds of stories Favreau and his team choose to tell. If recent history is anything to go by, the show will likely have a lot of big on-screen roles for a diverse array of actors. We will share more updates as details become available on Disney and Lucasfilm's highly anticipated live-action Star Wars series. The live-action Star Wars show from Jon Favreau (Iron Man) is one of the most hotly anticipated series set to air on the Disney streaming service, and now we know the project will have a massive budget. Streaming services are all the rage nowadays, and soon enough Disney will be launching its very own service. But since the project is still in the early stages of development, we know very little about what content will be available. However, one program we do know fans will be able to stream is a live-action Star Wars show from Iron Man director Jon Favreau, which will be set between Return of the Jedi and The Force Awakens. Like most projects set in the Star Wars universe, story details on the series remain under wraps. But thanks to a report from the New York Times, we know the highly anticipated show "is expected to cost roughly $100 million for 10 episodes." This whopping number means the series will join the likes of Game of Thrones, whose sixth season had a similar budget. Though, this shouldn't come as too big of a surprise as Favreau and Disney will likely need to spend a lot on VFX among other things. Plus, the new Star Wars program is undoubtedly a big selling point for the streaming service, which means they'll try to make sure it's of the highest quality. Fans have been waiting years for a live-action Star Wars series, and it looks like the production executive produced by Jon Favreau is finally going to make it happen. Over the past week, photos have been emerging online showing off the set at an undisclosed location somewhere in Southern California, and with that also comes some new details about who will be behind the camera for this new endeavor. Find out what we’re learning about the live-action Star Wars series below. 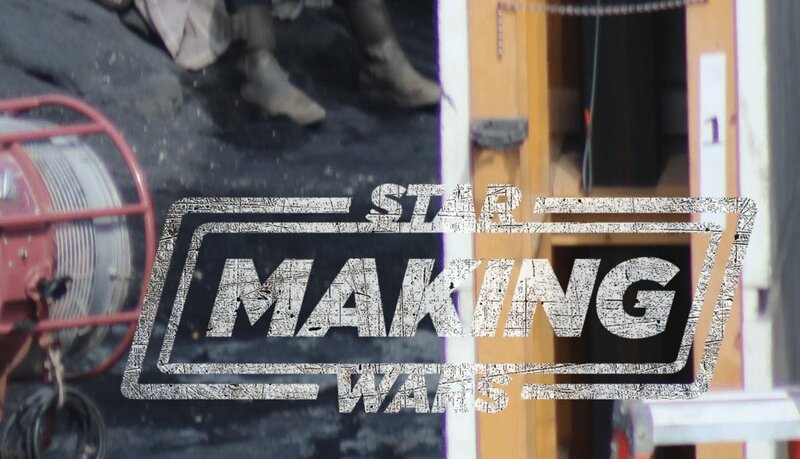 While we won’t post the set photos taken by the folks at Making Star Wars, we will point out that this set seemingly teases a location similar to that of either Tatooine or Jakku. It’s clearly a desert location of some kind, but it’s not clear which planet we’re looking at. We’ve heard the show takes place before the events of The Force Awakens, so a story that takes place on Jakku tangentially to Rey’s life (or even before it) would make the most sense, but that’s just speculation on our part. There appears to be some shooting taking place on the set, but all that can be glimpsed is a couple of actors wearing dark brown jackets with hoodies, almost resembling the hood of a Jawa. They also had some kind of shoulder armor with a color slightly lighter than the jacket itself, as well as utility belts with yellow and brown accents, along with dark brown pants and boots. It’s not clear whether these are prominent characters or commoners in this location. There’s also the chance that they’re just shooting a camera test and nothing more at the moment. Dave Filoni is best known for bringing life to the animated side of the Star Wars galaxy with The Clone Wars and Star Wars Rebels, not to mention the upcoming Star Wars Resistance. But it appears he may be making his live-action debut with this new series. Making Star Wars is reporting an unverified rumor that Dave Filoni will direct two episodes of the first season of the live-action Star Wars series. While Jon Favreau is an accomplished filmmaker in his own right, it appears he’ll leave the directing to other talents while sticking with writing and producing (at least for now). The rumor says Filoni will direct the first episode of the series and one more beyond that. As for other directors, there are reportedly five total directors working on the show for the first season. Three of those filmmakers are directing two episodes each, and for those who aren’t good at math, that would mean the first season of the live-action Star Wars series will have eight episodes. That makes sense since this will likely be an expensive series and seasons will need to be kept short. Also behind the camera will be Greig Fraser as cinematographer. And since he did such an exceptional job making Rogue One: A Star Wars Story feel like a classic Star Wars movie, that’s good news for the series. Is Werner Herzog Appearing in the Show? Director Werner Herzog is known not only for his mesmerizing documentaries and arthouse narratives, but also his trademark ominous voice. Jack Reacher made solid use of his menacing presence as a villain, and now there’s a chance he might be involved in the Star Wars series. IndieWire recently interviewed Herzog and the director revealed that he was going to be in “a big franchise film, about which I’m not supposed to say anything.” However, he did note that the codename was Huckleberry. Funnily enough, Making Star Wars has learned that the codename for the live-action Star Wars series is Project Huckleberry. Could Werner Herzog end up with a role in the Star Wars series? Sure, he says he’s in a big franchise film and not a television series, but maybe he misspoke. The prospect of Herzog being in the Star Wars universe is so juicy. He would make a hell of a villain, especially some kind of crime boss. So we hope this a rumor ends up being true. Jon Favreau's Star Wars TV show reportedly casts Pedro Pascal. It's shaping up to be quite an exciting 2019 for fans of the galaxy far, far away. Not only will J.J. Abrams' Episode IX end the Skywalker saga, the franchise will finally make a leap into the realm of live-action television. Earlier this year, it was confirmed Favreau would spearhead the endeavor, which is going to be part of Disney's exclusive programming slate for their upcoming streaming service. Viewers are eager to learn more, but in typical Lucasfilm fashion, details are being kept firmly under wraps. For the time being, fans have to make do with whatever the rumor miller offers up. Reportedly, the show will take audiences to Mandalore, with names such as Favreau, Dave Filoni, and Alan Taylor calling the shots on various episodes. One aspect of the series things have been curiously quiet on is the cast, but now there's one name said to be attached. Making Star Wars reports Pedro Pascal (Game of Thrones, Narcos) is the "central lead" of the show. He has a number of film and TV credits under his name, including an appearance as Whiskey in last year's Kingsman: The Golden Circle. Pascal's most high-profile gig on the horizon is a supporting role in Patty Jenkins' Wonder Woman 1984, where he reportedly plays Maxwell Lord. While an actor of Pascal's talent and range (he's done everything from fantasy to action to drama) would be a valuable addition to the Star Wars universe, it remains to seen if this pans out. Production on Wonder Woman 1984 began back in June, and the project is still filming. Judging by the set photos, the Star Wars TV show will be rolling the cameras shortly, so there could be a scheduling conflict that prevents Pascal from signing on. As a comparison, the first Wonder Woman movie was filming from November 2015 to May 2016, with reshoots taking place months later. Since it's unknown at this point in time how significant Pascal's 1984 role is, it's possible he hasn't wrapped on the film yet. Jenkins will likely call upon Pascal for the inevitable pickups, but those probably won't take place until sometime next year. Regardless of whether Pascal is involved with Star Wars or not, the cast should be revealed in the very near future. It'll be interesting to see who will star, seeing that the rumor mill has been unusually quiet on this matter. On the film side of things, Lucasfilm has demonstrated a keen eye for talent, as many fans would agree the new characters have been perfectly cast. Ideally, that will carry over to the TV department and a tremendous ensemble will carve a place in the hearts of fans around the globe. Jon Favreau reveals the title and synopsis for his Star Wars TV series, The Mandalorian. Despite the disappointing box office performance of Solo: A Star Wars Story, the Star Wars franchise has seen massive success over the last four years. After dominating theaters and ending Star Wars Rebels, they are finally venturing into new territory. Thanks to Disney launching a streaming service of its own, the first ever live-action Star Wars TV show will be part of the lineup. It is being written and produced by Iron Man and The Jungle Book director Jon Favreau. Details on the series have been hard to come by as Lucasfilm has yet to confirm anything. Rumors continued to point to the Mandalorians being at the center of Favreau's focus. But, there was still no signs of any official news about the series, despite set photos indicating filming was about to begin. Favreau has now come out and confirmed details about the series on his Instagram. He first confirmed that the series is called The Mandalorian, although it could ultimately be revealed to be Star Wars: The Mandalorian or some variation to include the known IP. He didn't leave Star Wars fans with just the title, though, seeing as he also revealed brief story details for the series. Following all the secrecy that has surrounded The Mandalorian, it is nice to finally have some official confirmation for what the series is about. Favreau's details confirm the previous rumors about a focus on Mandalore were true. It was the same source of that initial Mandalore rumor that provided another fresh report that Pedro Pascal may be the lead of Favreau's series. If that too proves to be true, Pascal will be the "lone gunfighter" the series follows. Now that Favreau's confirmed these details, casting could be next up. This update from Favreau will hopefully be the beginning of many revelation pertaining to The Mandalorian. Rumors have started to rise about who will direct the several episodes of the series, with Game of Thrones' Alan Taylor and Star Wars Rebels' Dave Filoni among the contenders. Whoever ends up helming the episodes will do so with substantial budgets, as the entire series will reportedly cost $100 million to make. Now that we know what part of the galaxy far, far away The Mandalorian will be exploring, all of that money will hopefully put to good use. 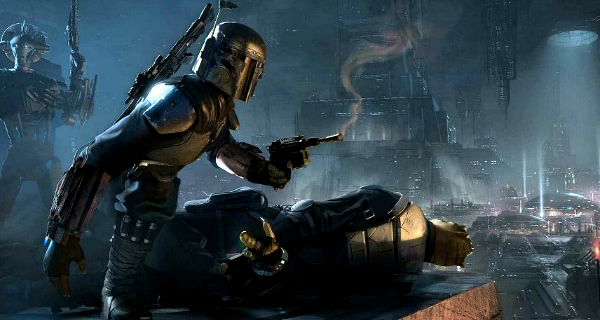 Jon Favreau has released the first synopsis for his Star Wars TV series, The Mandalorian, and it just might introduce the man who stole Boba Fett's armor. Cobb Vanth has already been introduced into the Star Wars canon in Chuck Wendig's Aftermath trilogy, and it sounds a lot like he's about to star in his own show. Favreau's Star Wars TV series has been the subject of much speculation over the last few months. Rumors pointed to the Mandalorians being at the center of the story, while a handful of set photos hinted at a desert location reminiscent of Tatooine. But solid facts were few and far between; at least until Favreau took to social media to reveal the show's title, and to present a brief synopsis of The Mandalorian. According to Favreau, The Mandalorian is set sometime after the fall of the Empire and before the rise of the First Order. The series stars a lone gunfighter on the outer reaches of the galaxy, far beyond the influence of the New Republic. Surprisingly, that masked man may well have already made his appearance in the Star Wars canon. Until now, the time between the Original Trilogy and the Sequels has been relatively unexplored. As recently as September 2017, there were reports that the Lucasfilm Story Group was blocking stories set after the Battle of Jakku. Only a handful of novels really discussed that time-period, most notably Chuck Wendig's Aftermath trilogy, which chronicled the events leading to the Battle of Jakku, and essentially laid the foundations for any other stories set after Return of the Jedi. That's begun to change, of course, with both Favreau's series and Star Wars: Resistance set in the time between the trilogies. It's safe to assume that both shows will build on the ideas Wendig's novels first brought into play. And here's the interesting thing; the Aftermath trilogy really does feature a "lone gunfighter" who wears Mandalorian armor, and he's fighting against injustice on the fringes of the galaxy. He's on Tatooine, and - as Luke himself observed in A New Hope - if there's a bright center to the universe, Tatooine is the world farthest from it. The first two books in the trilogy avoided revealing too much about the Mandalorian, but the third revealed his history; the man's name was Cobb Vanth, and he was a slave who was freed after Jabba the Hutt's death. Stumbling across a set of Mandalorian armor, Vanth and Jabba's old beastmaster, Malakili, fought to prevent new criminal gangs muscling in on Jabba's turf and enslaving Tatooine once again. Although it was never explicitly stated, the Aftermath trilogy strongly implied that Cobb Vanth had stumbled upon Boba Fett's armor. It seems the Sarlacc was badly injured during the events of Return of the Jedi, with the explosion of Jabba's Sail Barge leaving the creature partially exposed. Some stoma-tubes were split open, and industrious Jawas raided them for treasures. 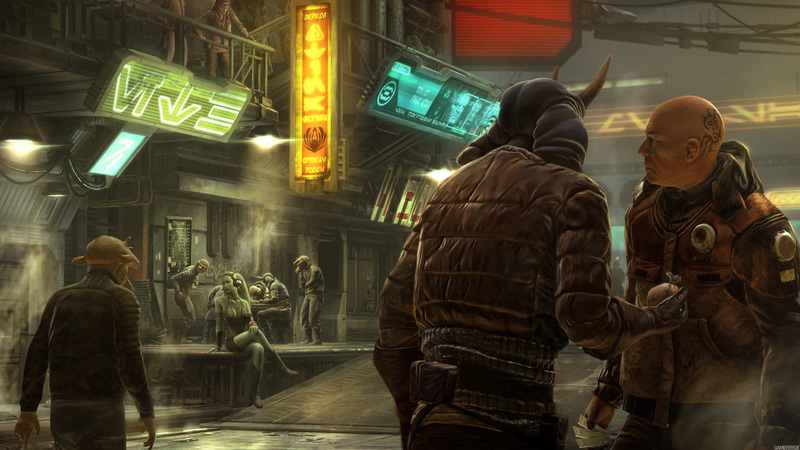 The novel hinted that the Jawas took the Mandalorian armor, and that Vanth purchased it from them. Boba Fett's fate, however, was never revealed; according to Jabba, it took years to be digested inside the Sarlacc, so he may well have still been alive, albeit injured. All this dovetails perfectly with Favreau's description. Cobb Vanth was active as a lawman in the time between the trilogies; he's a solitary gunslinger, wearing the right suit of armor; and he's active on Tatooine, when photos have hinted at a desert setting for The Mandalorian. In addition, no sooner had the first synopsis been published than Jason Ward appeared on the SlashFilm podcast to report rumors that the character could be Cobb Vanth. Cobb's story in the Aftermath trilogy was a strange one, irrelevant to the main plot and relegated to a series of "interludes". It now looks as though those interludes were set up for ideas Lucasfilm intended to explore further down the line - and Cobb Vanth's story is the first to be developed, in his case into a TV series. Curiously enough, the old Expanded Universe does have precedent for someone impersonating Boba Fett. Jodo Kast was a member of Alliance SpecOps who became a bounty hunter, and donned Mandalorian armor. After Fett's death in the Sarlacc pit, Kast re-painted his armor to look like Fett's in order to charge a higher fee. 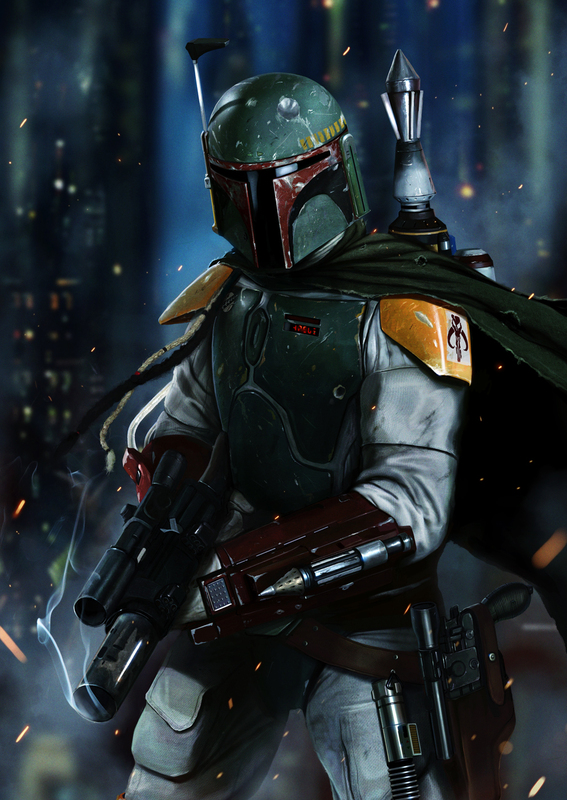 Kast dreamed of taking Fett's role as the best mercenary and bounty-hunter in the galaxy. Unfortunately, his crimes caught up with him. In the Expanded Universe, Boba Fett survived the Sarlacc, and upon recovered his strength and learning someone had stolen his identity, he was incensed that someone was impersonating him, so he set a deadly trap for Jodo Kast. Suffice to say Kast learned the hard way that he was not Boba Fett's equal - and he didn't survive to make the most of that lesson. Of course, the Expanded Universe is no longer considered canon, and so we can't say for sure that Fett survived the Sarlacc in the new Star Wars. But it's certainly possible; after all, Jabba suggested it takes a millennia for someone's body to be digested inside the Sarlacc, and Boba would only have been in there for a short time. Assuming he did indeed survive, Boba would have presumably been badly wounded, malnourished, and perhaps even rendered comatose. The Jawas could have stripped his body of his armor, and left him for dead. If he recovered, it's pretty certain he'd want to get his armor back. So perhaps Boba Fett himself is part of this story. WHAT DOES THIS MEAN FOR THE STORY OF THE MANDALORIAN? It would make sense for the show's rogues' gallery to be drawn from the Aftermath novels as well, at least initially. That means we can expect to see the Red Key Raiders, a criminal cartel that emerged on the scene shortly after the Battle of Endor. They seem to have actually started out their operations on Tatooine, pretending to be a mining cartel but secretly running a range of criminal enterprises. One of their main leaders was a Weequay thug named Lorgan Movellan, who became obsessed with Cobb Vanth. The last encounter between the two in Aftermath: Empire's End didn't go well for Lorgan; not only was he beaten by the Mandalorian warrior, Cobb chose to carve a message into Lorgan's face with his blade, presumably a warning to all the raiders to stay away. But the Red Key Raiders may not be the only ones to be interested in Tatooine. The books have already established that the Raiders forged an alliance with the vast, powerful criminal empire known as Black Sun. This organization predates the Empire, and was dangerous enough to be considered a threat by even Darth Maul back before the Galactic Civil War. No doubt Black Sun used the chaos of the Empire's fall to build its influence yet again, and it would set its sights on prizes that were out of reach of New Republic laws - including Tatooine. Jon Favreau's The Mandalorian officially has its directors, and Taika Waititi is among them. As part of Disney's empire, Lucasfilm is being tasked with making the first ever live-action Star Wars TV show for their streaming service. In order to do so, the Iron Man and The Jungle Book director is set to write and produce the series. It was just recently announced that the series is about a lone Mandalorian gunslinger with the official synopsis being released. As many fans had hoped, that release by Favreau has proven to be just the beginning of news coming on The Mandalorian. We still don't have a cast announcement, but directors have started to be rumored over the last several days. Now, Lucasfilm has confirmed the varied directors who are set to headline the series - and it includes a recent MCU breakout director. Lucasfilm announced the five directors who will helm episodes of The Mandalorian. The biggest name for many will be to see Thor: Ragnarok's Taika Waititi among those who will direct an episode of the series. They also confirmed that Dave Filoni will direct the pilot of the show, while Bryce Dallas Howard, Rick Famuyiwa, and Deborah Chow will also direct episodes of The Mandalorian. Not only is Waititi fresh off the critical and financial hit that Ragnarok became, but him joining the ranks of Star Wars is somewhat surprising given previous comments. He previously said he didn't think he could direct a Star Wars movie because of his directing style, and while this isn't a movie, it will have a substantial budget. Kathleen Kennedy did say after he said those comments that she would love for Waititi to direct a Star Wars film. Again, it may not be a movie, but with his Disney connection, he is the MCU veteran to join the series, not Alan Taylor (as previously rumored). Dave Filoni's involvement was previously rumored as well, and this is the next step for the Star Wars Rebels creator. Bryce Dallas Howard is best known as an actress and this will be her first directing credit that is above a short. She, too, has a connection to Lucasfilm, as her father, Ron Howard, just directed Solo: A Star Wars Story. Rick Famuyiwa is another exciting choice after breaking out with his movie Dope, while Chow previously directed episodes of Jessica Jones for Marvel and Netflix. The variety of talent the series has assembled to this point is nonetheless a great start to the series. Just a day ago, the news broke that Jon Favreau‘s mystery Star Wars TV series would be titled The Mandalorianand follow the escapades of a lone gunfighter on the Outer Rim planet of Mandalore. From the looks of it, Filoni, Famuyiwa and Chow all direct two episodes each. Filoni helming multiple episodes is no surprise — the Clone Wars and Star Wars Rebels showrunner has proven to be a favorite among Star Wars fans, and an adept storyteller within the animated Star Wars universe. Filoni makes his live-action debut with these two episodes of The Mandalorian, but if his talents in the animated world are anything to go by, they will be among the best of the series. Chow is also a great TV talent, having helmed episodes of Iron Fist, Fear The Walking Dead, Jessica Jones, Lost in Space, Snowfall, Better Call Saul and The Man in High Castle. And as one of the first female filmmakers for a live-action Star Wars project, it’s pleasing to see her entrusted with two episodes of The Mandalorian. Meanwhile, Famuyiwa’s double order of episodes is the biggest surprise. Though the Dope director has become an indie favorite, he doesn’t have quite the TV experience that Filoni and Chow have — but he is the most promising rising star of this list of uber-talented directors so it’s natural for Favreau to take him under his wing. Both Howard and Waititi only helm one episode each — Howard likely because she is relatively untested despite a slew of well-received shorts, and Waititi likely because the man has no time. After the hugely successful Thor Ragnarok, Waititi basically received a carte blanche in Hollywood, which led to him pursuing his passion projects, including a World War II comedy and the What We Do in the Shadows spin-offs. It’s amazing that he even found time in his schedule for The Mandalorian, but knowing Waititi, he’ll knock it out of the park. It seems that Favreau, whose name has been attached to this project from the beginning, won’t be directing an episode, but as executive producer, he will have a hand in the overall production of The Mandalorian. Production for the highly-anticipated series is currently underway. Taika Waititi and Bryce Dallas Howard may pull double duty with The Mandalorian, as they're both now rumored to have roles in the series. Disney is investing heavily in their upcoming streaming service. It will include new movies, original Marvel TV series, and even the first ever live-action Star Wars show. The latter will be written and produced by Jon Favreau, but he doesn't appear to be directing. It's confirmed that the series will be called The Mandalorian, and fans recently got a look at what the main character looks like, just not who's under the mask. While there has been casting rumors pointing to Pedro Pascal possibly headlining the series, the official announcements have, instead, focused on who will be behind the camera. Lucasfilm already announced an impressive list of directors for The Mandalorian, which includes Dave Filoni, Rick Famuyiwa, Deborah Chow, Waititi, and Howard - but directing may not be the only thing the latter two are doing. According to a new rumor from Discussing Film, Taika Waititi and Bryce Dallas Howard may also have acting roles in The Mandalorian. This is just a rumor for the time being and should be taken with a heavy pinch of salt. If this report is accurate, Waititi will be providing the voice of a droid in The Mandalorian, while there's no potential details on who Howard could play. Neither will be leading roles, but instead minor ones if this is confirmed. Waititi may be best known now as the director of Thor: Ragnarok after impressive indie comedies What We Do In The Shadows and Hunt for the Wilderpeople, but he's also spent time as an actor. He's starred in or at least been featured in almost everything he's directed, and a voice role is nothing new either. He did the voice for Ragnarok's scene-stealing Kronan, named Korg. It's easy to imagine the sound of Waititi's voice coming from a droid, whether it's capable of speaking fluently or just using beeps and noises. Lucasfilm may have put its Star Wars spinoff movies on the backburner for the time being but the studio is currently hard at work on developing a live-action TV series titled The Mandalorian for Disney's upcoming streaming service. Now, more photos from the set of this mysterious show have started doing the rounds online and they feature an unidentified alien character of some sort. While there has been some speculation that this little guy could be a significant part of the series, based on the report below (where you can also see these set photos), he's probably just an extra who will be seen in the background. It's also noted that he looks a little like some of the aliens we saw in Star Wars: The Last Jedi's Canto Blight sequence but that's probably little more than a coincidence. What do you guys think of these set photos? Be sure to let us know your thoughts down below. Around the end of the long walkway set for the live action Star Wars streaming series The Mandalorian, we got our first glimpse of an alien creature today. When I first saw the creature on the set, I thought he was a puppet because he was so still. I could see the shoes and it was clear it was something and then all of a sudden the creature started to move and my excitement went through the roof. I was looking at a creature from Star Wars on set with my own two peepers. My guess is this guy’s dad was one of those creatures from The Fifth Element and his mom was the frog dog from Return of the Jedi. I’m not sure if we’ve seen this creature before. With so many films in the last few years, I can’t place this guy and he might be new. We aren’t sure if this creature has been in a Star Wars film before at this point. Most of the time I was around the location today, the creature sat down next to a moisture vaporator atop the black igneous volcanic rock. I don’t want to overstate the importance of the character. If we had to guess the creature is just an extra that probably looks at someone as they go by. We also saw a couple of women in clothing not unlike his but it wasn’t clear if they just didn’t’ have their masks on or if they were just humans who shop at the same store as this dude. Here is a gallery of the monster cooling off. At first we thought he had some kind of communicative device in his hands but it appears to just be a hairdryer type fan to cool the poor actor sweating to death inside the suit. We also saw a lot of interesting stuff on the droid department but it was a blink and you missed it kind of situation. We saw a character that looked sort of looked like Ralph McQuarrie’s concept for R2-D2 that lead to BB-8 but he had a pattern that made Brandon think he was a bit R5-D4 inspired too. Later in the day we saw droid operators showing up with the remotes but sadly we couldn’t document it or get a long enough look at any of it to really commit it to memory very well. Keep checking back to MSW for all your important Star Wars news needs and for more information on The Mandalorian coming to Disney’s streaming service in 2019! The state of Star Wars fandom is currently complicated, to say the least, leading Lucasfilm to seemingly struggle to determine the best way to not only appease as many fans as possible but also push the saga in new directions. Recent reports regarding the licenses that Lucasfilm is seeking for its upcoming live-action Star Wars: The Mandalorian series could confirm they expect the show to become the key to reviving excitement about the galaxy far, far away. According to The Blast, Lucasfilm recently filed a number of trademarks for "toys, games, hand-held units for video games, books, school supplies, temporary tattoos, clothing, and footwear." While all of this merchandise has often been emblazoned with Star Wars branding ot celebrate past projects, the series is likely a year away from debuting, with these trademark applications likely hinting that the promotional campaign will start long before the series debuts. Given the mixed reactions to most Star Wars offerings of the past year, and with Star Wars: Episode IX still 14 months away, The Mandalorian could help get Lucasfilm's fanbase back on track. Dating back decades, and most famously kicking off with the release of the prequel films, Star Wars fans have always been passionate about the saga, no matter whether they love or hate elements of the series. Star Wars: The Force Awakens and Rogue One: A Star Wars Story weren't universally loved by fans, but they both saw more positive responses than the films in the prequel trilogy, captivating audiences with adventure and excitement. The release of Star Wars: The Last Jedi, on the other hand, wasn't entirely the success the studio was looking for. Audiences might have been as mixed on the film as its predecessors, but certain subsets of "fans" focused on sexist and racist motivations for their critiques, which inadvertently lumped all critics of the film in with the hate groups. The numbers of fans vs. critics of the film are debatable, but the detractors are undeniably the most vocal, making the entire fanbase at large feel more toxic than ever. Six months after the release of The Last Jedi, Solo: A Star Wars Story hit theaters and, while it still took in hundreds of millions of dollars, didn't live up to financial nor critical expectations, failing to win back the fans who were turned off from Last Jedi. Following the relatively successful response to Rogue One, The Mandalorian could be the first opportunity Lucasfilm has in three years to deliver audiences something that pleases fans new and old alike, while also being the first live-action series set in the Star Wars universe. Stay tuned for details about Star Wars: The Mandalorian. Do you think Lucasfilm can reinvigorate the franchise with the new series? Let us know in the comments below or hit up @TheWolfman on Twitter to talk all things Star Wars and horror! Police are investigating the set of Jon Favreau's new Star Wars show after reports of an equipment theft were made. According to a report from The Blast, the set of The Mandalorian was compromised when expensive equipment from the camera department went missing, and Lucasfilm is worried that a missing memory card could lead to some secretive details about the show being released. According to The Blast, the items were stolen from the studio at Manhattan Beach, where production is currently taking place, and the dominant theory is that they were stolen while the set was dark overnight. This is the first major setback for the Star Wars series, which was announced to be launching as part of Disney's new streaming service. It is the first live-action Star Wars series from the franchise, and it looks like Disney and Lucasfilm have high hopes for it considering the talent they've assembled. Favreau is serving as executive producer and writer on the The Mandalorian, and he'll be assisted by some big name directors behind the lens. Thor: Ragnarok director Taika Waititi is helming an episode, as is Dope director Rick Famuyiwa, Jurassic World star Bryce Dallas Howard, and Jessica Jones director Deborah Chow. The first episode of the series is being directed by Lucasfilm Animation legend Dave Filoni, making the leap to live-action after show running Star Wars: The Clone Wars and Star Wars Rebels. The series is set after the fall of the Empire in Star Wars: Return of the Jedi, but before the rise of the First Order in Star Wars: The Force Awakens. It's following a "lone gunfighter," presumably the titular Mandalorian, as they navigate the outer reaches of space and delve into the galaxy's criminal underworld. "I couldn’t be more excited about Jon coming on board to produce and write for the new direct-to-consumer platform," Lucasfilm President Kathleen Kennedy said in a statement to announce the series. "Jon brings the perfect mix of producing and writing talent, combined with a fluency in the Star Wars universe. This series will allow Jon the chance to work with a diverse group of writers and directors and give Lucasfilm the opportunity to build a robust talent base." It's been revealed today that Pedro Pascal has been tapped to take on the lead role in upcoming Disney+ Star Wars TV series The Mandalorian. He's been rumoured for a role for a while now but sources tell Variety that he was just one of many actors being considered for the lead role. However, negotiations are well underway and he's expected to star in the series. Set after the fall of the Empire and before the First Order surfaced, the show is expected to follow the travails of a lone gunfighter (Pascal's character) in the outer reaches of the galaxy far from the authority of the New Republic. A number of big-name directors have been signed up, including Dave Filoni, Taika Waititi, and Bryce Dallas Howard. Jon Favreau came up with the concept of the show and will serve as an executive producer. Despite making the leap to the big screen in recent years with the likes of Kingsman: The Golden Circle and Wonder Woman 1984, Pascal is no stranger to the small screen after starring in the likes of Game of Thrones and Narcos. He's an exciting addition to this show and it will be interesting seeing how the rest of the cast now comes together. What do you guys think of this news? The latest set photos for The Mandalorian reveal an actor wearing a death trooper costume. It's a franchise tradition for each new Star Wars movie to introduce a fresh stormtrooper variant, and the death troopers made their debut in 2016's Rogue One. Billed as elite soldiers of the Empire, they were primarily seen in the spinoff accompanying Director Krennic. Admittedly, the death troopers didn't do much differently in action when compared to the normal infantry, but their all-black armor nevertheless looked cool and made them stand out. Of course, the death troopers are not present in the original trilogy and only appeared in a handful of other canon materials outside of Rogue One, so it'd be understandable if fans thought their brief contributions to the property were over. However, with The Mandalorian already featuring regular stormtroopers in some capacity, it seems as if Jon Favreau and company found room for at least one death trooper in the TV show. New Mandalorian set pictures from Making Star Wars show a trio of actors standing together, dressed in stormtrooper costumes. Two are clearly wearing the traditional armor, but the third is donning black armor. Since the actors are sans helmets, there's a chance this isn't a death trooper, but as of now, it looks like death troopers will have a presence in the series. The official Mandalorian synopsis revealed the show follows a "lone gunfighter" who traverses the underworld of the galaxy, far away from the eyes of the New Republic. With that in mind, it'll be interesting to see how stormtroopers factor into the narrative. The Mandalorian reportedly takes place years after the Battle of Jakku and the formal end of the Galactic Civil War, so the Empire definitely does not have a stranglehold on the galaxy at this point in the timeline. Still, there are remnants scattered throughout the galaxy, and former members may have traveled to remote worlds in order to avoid arrest by Republic authorities. Nobody should expect stormtroopers to have major roles on The Mandalorian (yet, anyway), but they should be a fascinating background element that expands on the mythology. By Lucasfilm's standards, the secrecy surrounding The Mandalorian is quite impressive. Pedro Pascal is the only reported cast member (rumors about Carl Weathers persist, too) and he hasn't even been confirmed by the studio. The creative team is keeping things close to the chest, but they likely have a marketing strategy in place to rollout the key information. And with Star Wars Celebration 2019 a handful of months away, it's only a matter of time before fans learn more about the property's first live-action TV show. Star Wars: The Mandalorian is currently shooting and, while specific details about the series have been kept under wraps, the latest casting announcement confirms that Gina Carano has been cast in the series in an unspecified role. News of Carano joining the film comes shortly after confirmation that Game of Thrones and Wonder Woman 1984 star Pedro Pascal has joined The Mandalorian, also in an unspecified role. Carano made a name for herself as an MMA fighter, with her intense physicality ultimately landing her the lead role in Steven Soderbergh's thriller Haywire. From there, Carano then joined the Fast and Furious franchise with Furious 6 and also starred in Deadpool. 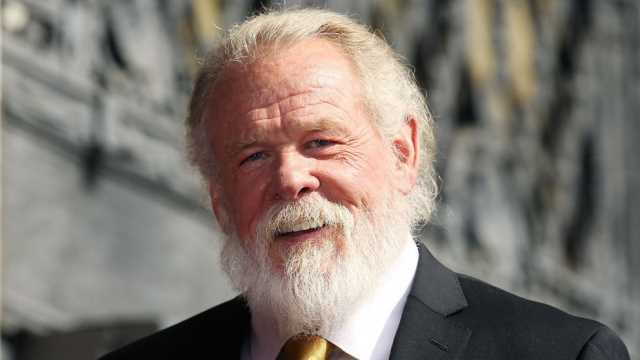 Jon Favreau's upcoming live-action Star Wars series The Mandalorian has added some more star power in the form of multi-time Academy Award nominee Nick Nolte (Hulk, Warrior, Cape Fear). More past the jump. According to THR, Nick Nolte will join Pedro Pascal and Gina Carano in the first ever live-action Star Wars series, The Mandalorian. There are no details on who he'll be playing, but the report does reveal that not every character will be in each episode. Nolte will be best known 'round these parts for his scenery chewing, but still underrated turn in Ang Lee's Hulk. He has also appeared in the likes of Cape Fear, The Thin Red Line, 48 Hours and Warrior, for which he earned his third Academy Award nomination. Taika Waititi (Thor: Ragnarok), Dave Filoni (Star Wars: The Clone Wars, Star Wars Rebels), Deborah Chow (Jessica Jones), Rick Famuyiwa (Dope) and Bryce Dallas Howard (Solemates) will all helm installments of the series. There's no release date for The Mandalorian just yet, but it is expected to premiere on Disney+ at some point next year. New details surrounding the plot of the upcoming Star Wars live-action TV show The Mandalorian have potentially been revealed. Created by Iron Man director Jon Favreau, The Mandalorian was announced back in October and will take place between Star Wars: Return of the Jedi and Star Wars: The Force Awakens, airing for ten episodes on Disney's upcoming streaming service Disney Plus sometime in 2020. In the past few months, fans have gotten a lot of details surrounding the first live-action Star Wars TV show, including a first look at the Mandalorian warrior, which bears a striking resemblance to the Mandalorian design in the canceled 1313 video game. Dave Filoni will direct the pilot of the series, while directors like Taika Waititi, Bryce Dallas Howard, Rick Famuyiwa, and Deborah Chow have also been announced to direct episodes of the show. As for the cast, Pedro Pascal is expected to lead the series, while actors like Gina Carino and Nick Nolte have also joined the project recently. Now, some story details may have also been revealed for the upcoming series regarding a possible McGuffin. New details surrounding The Mandalorian have potentially leaked thanks to Making Star Wars. The Mandalorian will reportedly revolve around the Mandalorian warrior finding a child on one of his missions and refusing to kill the child. The Mandalorian will then detail the journey of the Mandalorian warrior and this child, as he grows up to be the heir of Mandalore. Making Star Wars also revealed that by episode 3, the armor for the Mandalorian will completely change. This revelation about The Mandalorian is intriguing for a few reasons. If these plot details turn out to be true, then the previously leaked set video for The Mandalorian could be showing the Mandalorian warrior carrying a baby on his back rather than a weapon or jetpack. Also, if The Mandalorian will feature a storyline about a baby, then this child would be around the same age as characters like Poe Dameron, Rey, and Finn in the current Star Wars trilogy. Assuming this information is true, it may not only hint at what fans could see in The Mandalorian, but in future Star Wars projects as well. And, even though it is all still speculation at this point, the baby in the show could potentially turn out to be the heir to Mandalore, while also playing a more significant role in future Star Wars projects, such as Rian Johnson's Star Wars trilogy or even the upcoming film series from Game of Thrones showrunners David Benioff and D.B. Weiss. Needless to say, The Mandalorian could be more important to the world of Star Wars than previously thought. There's been a lot of speculation about The Mandalorian since it was first announced but things are finally starting to become a little clearer, because Disney has officially revealed the cast of the Star Wars show that will premiere on the Disney+ streaming service. We now know that Pedro Pascal (Narcos) has indeed been cast in the title role as a lone Mandalorian gunfighter in the outer reaches of the galaxy. He is joined by Gina Carano (Deadpool), Giancarlo Esposito (Breaking Bad), Emily Swallow (Supernatural), Carl Weathers (Predator), Omid Abtahi (American Gods), Werner Herzog (Grizzly Man) and Nick Nolte (Affliction). That's quite a roster of talent, eh? "We’re having a great time working with this incredibly talented group and excited for everyone to see what we’re up to," said Executive Producer Jon Favreau in a statement today. The Mandalorian is written and executive produced by Jon Favreau, with Dave Filoni (Star Wars Rebels) directing the first episode and serving as executive producer alongside Kathleen Kennedy and Colin Wilson. Additional episodic directors include Deborah Chow (Jessica Jones), Rick Famuyiwa (Dope), Bryce Dallas Howard (Solemates), and Taika Waititi (Thor: Ragnarok). According to The Hollywood Reporter's Borys Kit, "Sources tell me the story is set about 5 years after the events of Return of the Jedi and is set in the Outer Rim, where people don't know and don't care that the Empire has fallen. Gives them latitude in telling certain stories." Sounds good, right? As always, share your thoughts below and stay tuned for updates.